Saturday book signing at The Book House in Maplewood! Tomorrow, Saturday the 5th, I'll be at The Book House at 7352 Manchester in beautiful Maplewood, MO! 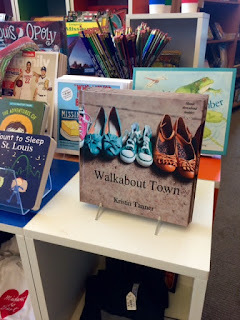 Come on by to get your copy of Walkabout Town, get your existing copy signed and support local business. Hope to see you all there! I had the privilege of performing for the Parent and Me series at the Missouri History Museum....I always love playing there. Picture 50-60 preschoolers dancing, singing and shouting at the top of ther lungs.. Need I say more? ...and also available on Amazon and this little website. Come see and hear us at Taste of Maplewood this Saturday at 3pm! 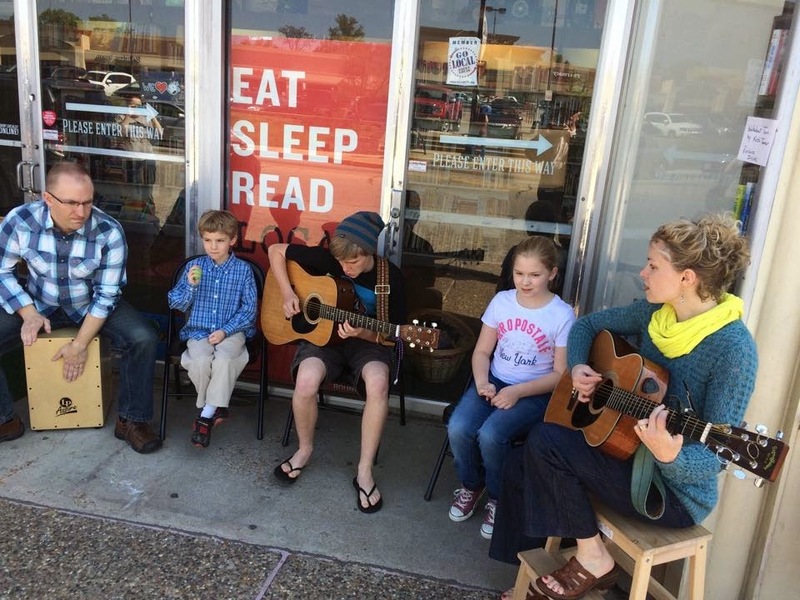 Here's just a brief video clip from our street concert at the Book House a couple of weeks ago. This Saturday, we'll be at the community stage at Taste of Maplewood at 3pm. Come sing with us! Afterward, I'll be selling my book next to Pie Oh My's food booth. Last Thursday and Friday, I enjoyed spending time at Maplewood Richmond Heights Early Childhood Center and Maplewood Richmond Heights Elementary. I love the questions the kids ask. Their natural curiosity yields some pretty amazing thoughts. You can almost see the cogs turning.... Another of my favorite moments is when one of the students observes that I am wearing a pair of the shoes that are photographed on the front cover of my book. (I purposely wear a pair when I visit schools just to see if anyone will notice..and they always do!) 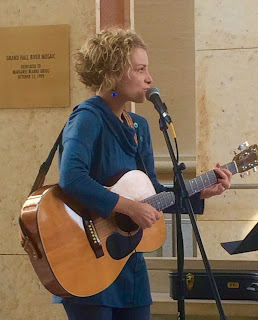 Friday afternoon, I enjoyed reading an email from a parent who explained that his son had downloaded and listened to my song non-stop since he arrived home. I was happy to hand-deliver a copy of my book to him this afternoon. 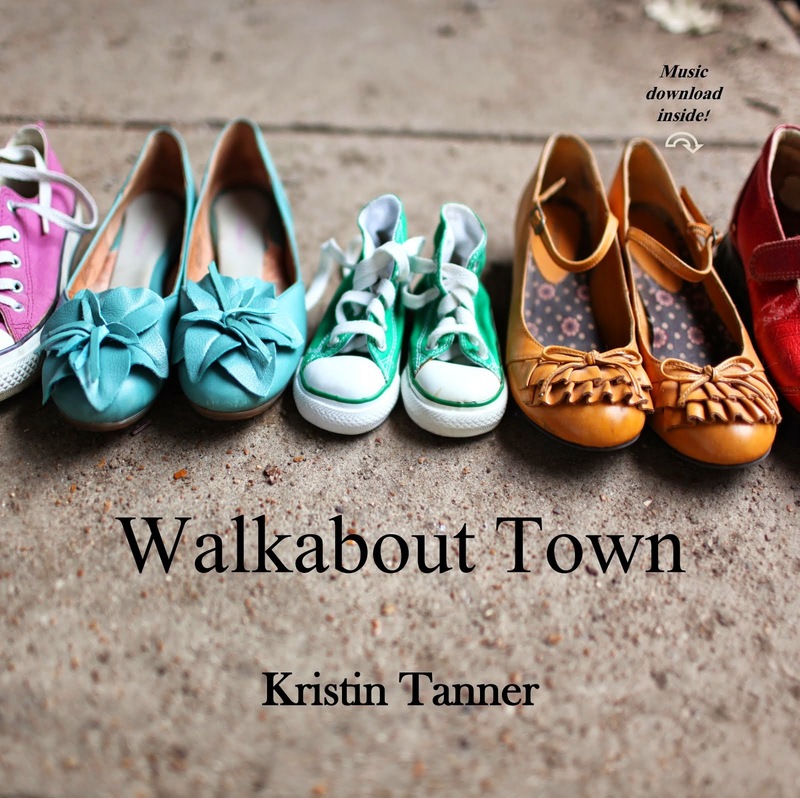 I already have a couple of schools lined up for August and look forward to more fun moments, sharing Walkabout Town. 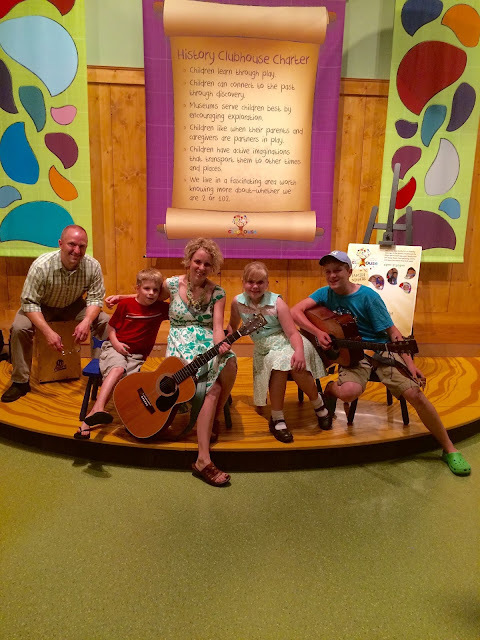 It was such fun to play and sing together as a family yesterday at the Book House, here in Maplewood. So many special friends and family stopped by to listen and chat. Stay tuned, we'll be making a summer appearance at the Missouri History Museum. 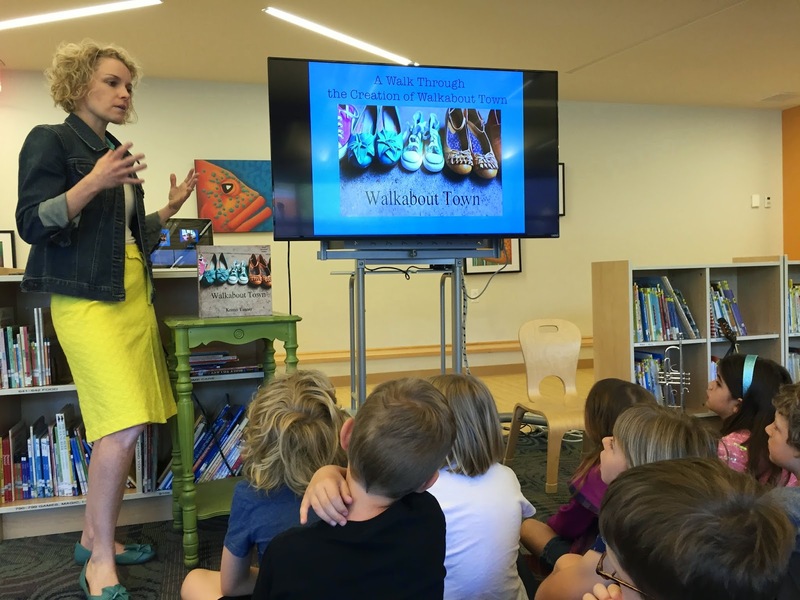 This week, I'll be heading to Maplewood-Richmond Heights Early Childhood Center and Maplewood-Richmond Heights Elementary to do book talks.